Don't believe whatever everyone shares on Facebook because they never showcase their dirt. Singer Spice Diana exposed herself when she paraded a dirty bedroom on WhatsApp. 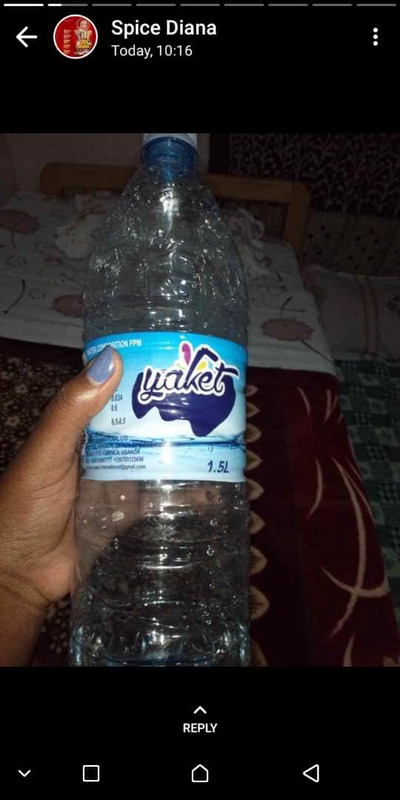 She recently signed a deal with Yaket drinking water as Ambassador so she took all the excitement to WhatsApp by uploading photos of the bottled water forgetting that in the background, her three by four bed was unkept.